If there's one thing Solomun knows how to do, it's throwing a mind-blowing party (plus after hours). 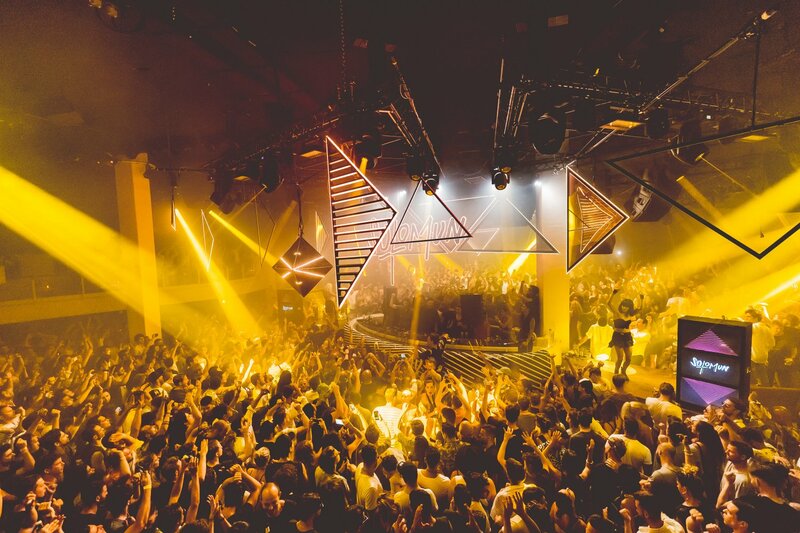 Here's who will be joining him at his winning single-guest collaboration formula, every Sunday at Pacha from 26 May as Solomun +1 opens the 2019 season. In typical brilliant form, Solomun and his party team have curated a seasonal line-up that is both sensational and intriguing. The opening event kicks off with DJ Koze, who dominated both chart positions with Pick Up and Ibiza dance floors last year. Moving swiftly through the first weeks of the residency, each evening is just as impressive as the last. Top tier club spinners Tijana T, Denis Sulta, Adriatique, DJ Seinfeld and Chloé all feature in June as the heat starts to rise on the White Isle. The start of July sees the party being raised another level as iconic DJ Joseph Capriati plays on 7 July. Eclectic selectors Peggy Gou and DJ Tennis also feature in the same month with Elax - one half of Boyz Noize - finishes the month on 28 July. Sweet! As the peak of the season hits, Afterlife head honchos, Tale Of Us, drop in for a set on 4 August. Fellow Italian Fango plays on 11 August and then Ibiza favourite Maceo Plex makes an appearance on 18 August. Mano Le Tough closes the month on 25 August. September is set to be just as exciting, not slowing down at for the final part of the season. Supreme talent comes to Solomun +1, as DJs Denis Horvat, Moscoman, Gerd Janson and Luciano fill up the month. The one to set an alarm for will be Dixon's date on 22 September. Innervisions and Diynamic label sounds combined is usually a show not to be missed. Wrapping up the summer with the final two dates sees first Kristian Beyer & Frank Wiedemann aka Âme show up to showcase their skills on 6 October. Last but by no means least, the closing on 13 October features DJ supergroup Keinemusik, made up of Rampa, &ME and Adam Port. There you have it: 21 weeks of musical excellence, a coalition of electronic finesse. Like every season, Solomun +1 continues to outdo itself.